Inaugural address | D.K. LeVick's "Writing in the Woods"
The day dawned in shadows, with a chilling bite, but the air sizzled with anticipation. An exhilarated populace began gathering on the streets outside the Federal Hall building. Excitement rippled through the crowd, as both, the passion and the history of the moment was felt by all. 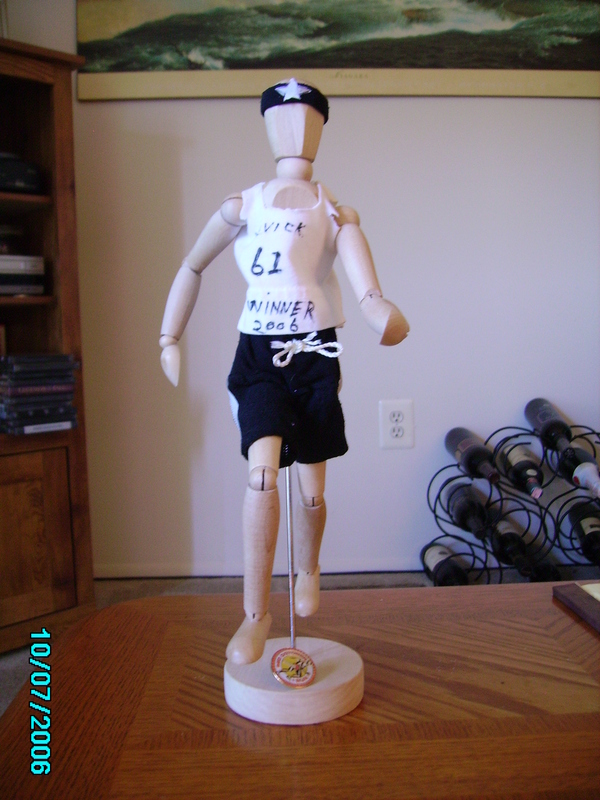 Numbering over 10,000, they came from different nationalities, cultures, religious beliefs, economies and walks of life. But even with the many differences, there was unity. They were freedom fighters–war-weary and battle-scarred, bloodied—but unbowed. Their cities had been leveled, their homes had been burnt, their families defiled and murdered. They had fought the greatest nation in the world; a nation so strong and vast that it was said “the sun never set” on its empire – and they had been triumphant. It was April 30, 1789 and they were revolutionaries and founders of a new experiment in government. Great Britain was the most powerful nation on the face of the globe, having colonized the majority of the known world. She had the mightiest of armies and strongest of navies with which to defend, expand and enforce her influence. The Colonies were not united, and argued and bickered among themselves. They were independent and separate from one another. They had no army, no navy, no defenses and no organization. Only some scattered, independent and largely ineffective militias calling themselves ‘soldiers’. They were economically weak from over taxation, and were not in agreement as to independence and breaking free of Great Britain. They haggled constantly, debated everything and only reluctantly reached agreements. 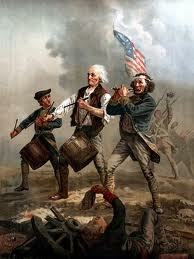 They withheld monies, muskets and men to support the revolution and resisted attempts as unified leadership. During the long struggle, many ‘Tories’ gave supplies, support and information to the enemy. Many more, just plain weren’t interested, being too busy with their own struggles to survive or too afraid or just too apathetic to the cause. 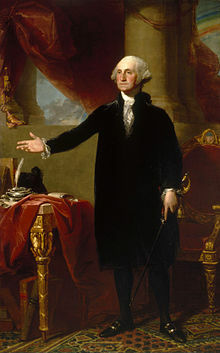 George Washington was chosen, amongst bickering and dissent, to be the Commander-in-Chief of the Colonies forces—a collection of rag-tied, farmers and merchants carrying squirrel muskets and tomahawks, going up against the best equipped, battle-hardened soldiers in the world, solidly entrenched in well positioned and defended forts and harbors. Greatly outnumbered, and his ‘army’ lacking discipline, organization, logistics and equipment, those who didn’t undermine him, thought him a fool even to attempt to command such a rabble. Under any wisps of wisdom and or thoughts of knowledge, the revolution should have failed miserably. 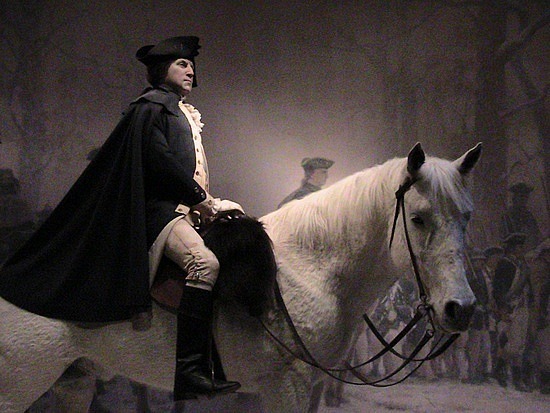 But, George Washington was a godly man, believing in the power and providence of God. 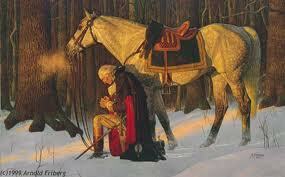 The images of the general kneeling in the snow-covered woods of Valley Forge to pray were real. He believed in Divine intervention and in Divine providence, and his men often found him on his knees, praying. He believed God would lead them to victory, and he relied upon the Almighty and on his strong belief in Divine Guidance. From such a foundation, he led his army, overcoming shortages of supplies, men, and weapons. Outmanned, out maneuvered, out gunned; lacking experienced fighting men and leaders; fighting internal politics and traitors; he forged an army of dedicated, competent freedom-fighters and made those around him believe they could win. He made no apologies for his army—his strategies—or his reliance on prayer and the Almighty. And he would not fail. After enduring many setbacks and reversals, he led this army of farmers and merchants to victory, defeating the strongest military power in the world—and thereby establishing the roots and beginnings of a new nation that was to become the greatest nation the world had ever seen. Now, in 1789, after months of work, debate and argument, a constitution had been written and a president had been unanimously elected as the leader of the emerging nation. The people gathered now, on this cool April day, to witness their dream be born. A tall, distinguished-looking, solemn man walked onto the second floor balcony. He wore a modest, broadcloth suit with tails, high silk stockings; silver shoe buckles and carried a ceremonial sword girded about him. 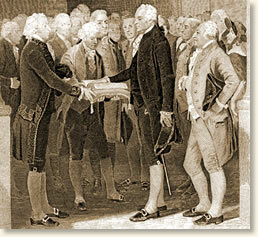 Placing his hand on the open Bible from St. John’s Masonic Lodge #1, he gave his oath to “…preserve and protect…” the new nation and amid thunderous applause, booming gun salvos and ringing church bells—George Washington became the first President of the United States of America. Of course, the President’s inauguration took place in the nation’s capital. 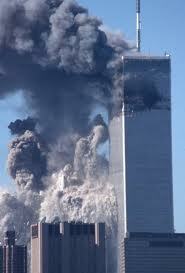 Fast forward to September 11, 2001. 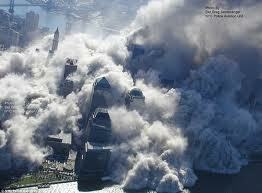 Yes, to that fateful day in America’s history when America was attacked and our ‘wall’ was breached. Everyone knows what happened, and the pictures of the World Trade Towers collapsing and of a commercial jetliner imploding into the Pentagon are forever burned in our consciousness and memories. 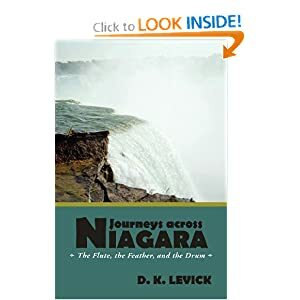 We know the story of Flight 93, headed on a mission of death to slam the Capital Building or the White House, only to be permanently detoured off course by those having the courage and bravery consistent with that of the founding fathers. 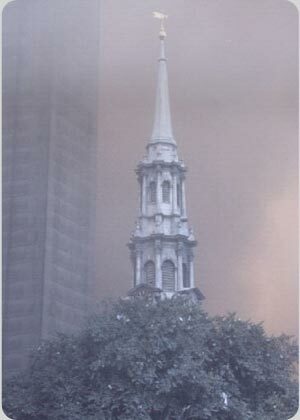 On that terrible September morning, a small church in New York City, St. Paul’s Chapel stood in the very shadow of the World Trade Center towers. When the towers collapsed, with those massive waves of devastation, spewing thousands of tons of steel, cement and stone, transformed into shrapnel, they destroyed everything, large and small, new and old, strong and robust, within blocks of Manhattan—and the small church was doomed and would certainly be demolished. 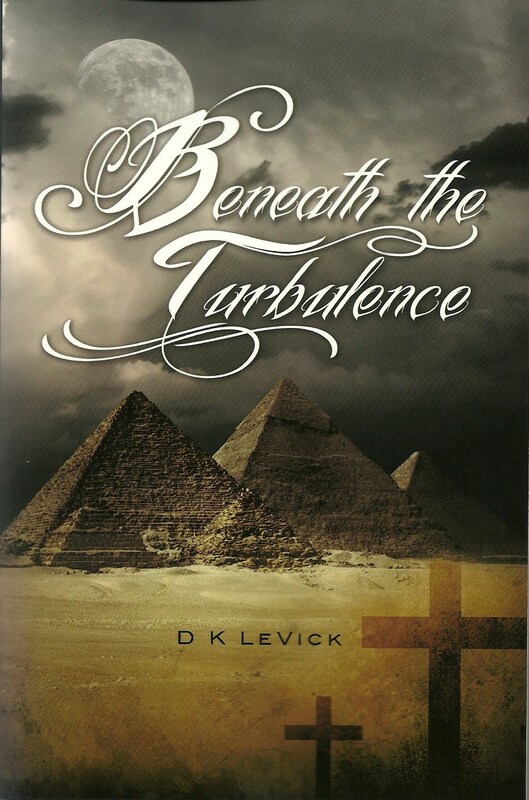 After long minutes, as the debris began to settle and the smoke from the ruins swirled upwards into the heavens like unholy incense, from out of the haze and thick clouds of dust—a steeple materialized. St Paul’s Chapel, covered in layers of ash, paper, stone and debris, stood undamaged—the only building so. People were in disbelief. Some called it a miracle; some called it a coincidence; no one could explain it. It was a complete impossibility for the 235 year old, stone church to have survived—without so much as a crack, a fallen stone or a shingle from off its roof. Some theorized the Sycamore tree in the line of fire, intercepted an ‘I-beam’ aimed directly at the small chapel, and was uprooted to fall and cover the chapel, deflecting the falling debris around it. A tree? A coincidence? A miracle? Built, in 1766, on a field outside of the city proper, the Georgian-Revival style building was a satellite of St. Trinity’s church, located inside the city. It was built to provide a place of worship for persons living some distance away from the main parish church. 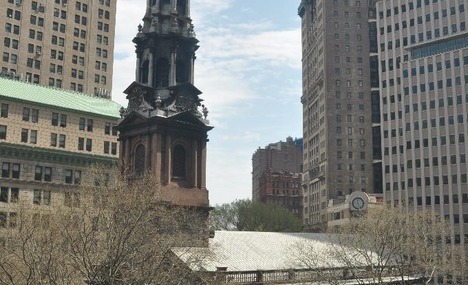 That field is Ground Zero and despite standing directly across from the World Trade Center site, the little stone chapel, not only survived the attacks, but was undamaged! It became a rallying place of refuge and hope for the people. It provided a staging area for the rescue workers, giving comfort, rest and relief to the hundreds of volunteers, firefighters, police, and recovery workers. Volunteers manned the chapel, providing clothing, food and rest for the workers long shifts, mending torn hands and feet as the search continued searching and clearing the massive rubble for survivors and victims. It became a temporary headquarters and served up spiritual as well as physical comfort. A podiatry station was established, with medical personnel and volunteers offering massages and care of bloody and bruised feet. The pews were filled with exhausted workers sprawled everywhere, needing sleep and rest. It offered support and love to a shattered city, during its worst nightmare. Many called out to the Almighty there, seeking answers to their many questions and comfort to their fears and anguish. Above the altar, the Hebrew Tetragrammatons’ is engraved: “YHWH”—Jehovah. The outside of the chapel became a magnet for survivors and family members, as they attached hundreds and hundreds of photos of missing persons and messages of love and hope on the fence of the church. Numerous funerals, for the fallen, were held in the church, and people sought solace and understanding in their grief. The little stone chapel stood as a beacon of hope and faith—in the midst of chaos and catastrophe and today it stills stands as a memorial to that infamous day of awakening in America. But, is that all to the story? A miracle or coincidence of a small stone chapel surviving the breaching of America’s ‘wall’? On April 30, 1789, George Washington, the founding father of America, was sworn in as the first president of the United States, in the capital city of the new nation. No, this was 1789, and there wasn’t any Washington, DC yet. The Nation’s first chief executive took his oath of office on the balcony of the Senate Chamber inside of Federal Hall on Wall Street, in New York City. He then gave his inaugural address before a joint session of the 1st United States Congress assembled on the 1st floor of the Senate Chamber. 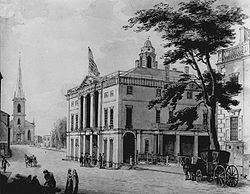 After concluding his remarks, a day of prayer for the new nation was declared, and the President, along with the Vice President, the 1st Congressional Representatives and members and local political leaders, walked through the cheering crowds, lining Broadway Street, to a small chapel, where they prayed and thanked the Almighty for delivering and establishing their new nation. There, the first act of the new government was to pray for the future of America. The ground is consecrated ground and the small stone chapel was—St. Paul’s Chapel. 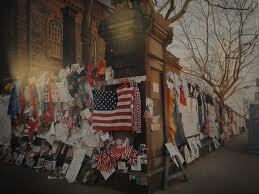 Yes, the same St. Paul’s Chapel that withstood the onslaught of attack and was a beacon of hope to America. The very same ground that was consecrated at the founding of our nation—where the founding fathers prayed for Devine guidance and blessings—where George Washington knelt in prayer and supplication to the Almighty for the future of America—is the same ground that was attacked when the ‘walls’ were breached, 212 years later. 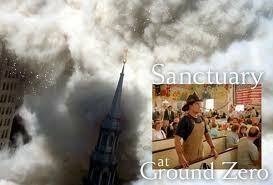 And the consecrated ground was spared. A fluke? A coincidence? A miracle? Or something more—a warning? From the Almighty to a sleeping America? During the brief time that New York served as the nation’s capital, George Washington continued to worship there, attending services until the capital was moved to Philadelphia in 1790. Over the next 170 years, numerous presidents and leaders of America visited St. Paul’s and added their prayers to the litany of America’s blessings. We have enjoyed the many blessings and great bounty of this land—but have we lost sight of our founding fathers faith? Is there a much deeper message in the little stone chapel that we’re failing to see and receive?